The Living Traditions Festival has to be one of my favorite events of the year; I’ve been attending just about as long as I’ve lived in Utah. Held in mid-May it’s typically the first coy nod to the impending summer season of outdoor fun. Indeed, the Living Traditions Festival is the perfect three-day microcosm of the summer season: outdoor eats, entertainment and libations and usually – cross all your fingers and toes – pretty decent weather. This year is the 30th iteration of an event that celebrates Utah’s diversity through arts, crafts, music, performance and – my favorite bit if you didn’t guess already – food. Held as ever on the grounds of Salt Lake City & County Building (450 South 200 East) the festival runs May 15, 16 & 17. 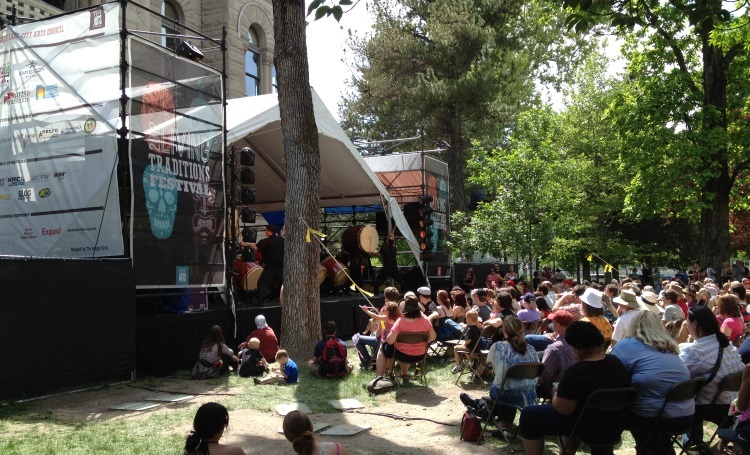 During those three days the rich diversity and cultural traditions of Utah are demonstrated through craftspeople, dancers, musicians, chefs and more. This year’s festival staff will reflect on the past through interview sessions with artists who have been a part of the festival since the first year. Stories and memories from the past 30 years will be shared at the festival as well as posted on the festival’s website. Conversations will continue throughout the weekend as interviews will take place on site and are sure to ensure the spirit of the festival will live long into the future. And the best bit? Admission is completely free. Be sure to bring a few bucks along for a cold Uinta Cutthroat or Bosnian Cevapi though. 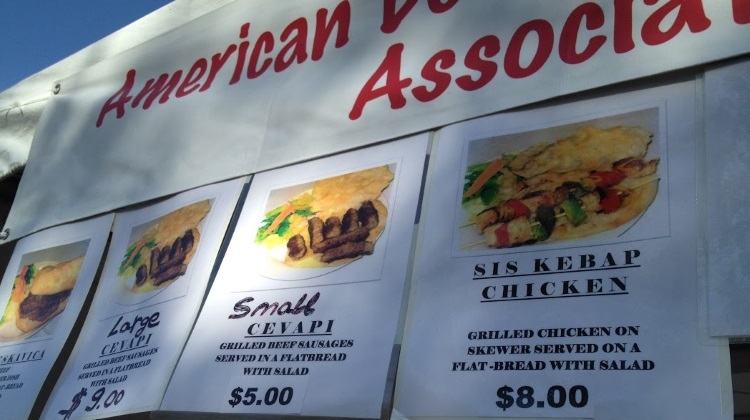 On the subject of food, this years eclectic array of vendors covers the following cuisines: African, American Indian, Basque, Bosnian, Cambodian, Chinese, Columbian, Italian, Lebanese, Nepalese, Pakistani, Salvadorian, Soul Food, Sudanese, Swiss, Tahitian, Thai, Tibetan, Tongan, Turkish and Vietnamese. Hungry yet? Also, if you haven’t been in a few years – the beer gardens of old are no more – feel free to wander the festival with beer or wine in hand as you take in the sights and sounds. Over 70 performances will be presented this year on the the festival’s three stages, which will showcase a wide variety of traditional music and dance styles. This year’s featured musical headliners include Bombino on Friday, May 15 (Tuareg guitar sounds from Agadez, Niger, Africa) and A Tribe Called Red on Saturday, May 16 (Electric Pow Wow from Ottawa, Ontario, Canada). There will also be a crafts demonstration and sales area where exceptional examples of traditional crafts will be created on-site by invited master artisans. Living Traditions Kids welcomes children ages 12 and younger to explore a number of different cultures through traditional crafts. Local artists teach participating children the stories behind each craft, showing them how to create their own meaningful object that they can take home and treasure forever. Friday, May 15: 5 to 10 p.m.
Saturday, May 16, noon to 10 p.m.
Sunday, May 17, noon to 7 p.m.